If you want to use IR poker camera to monitor more than one poker table, this long distance one to one infrared poker camera are the best choice. 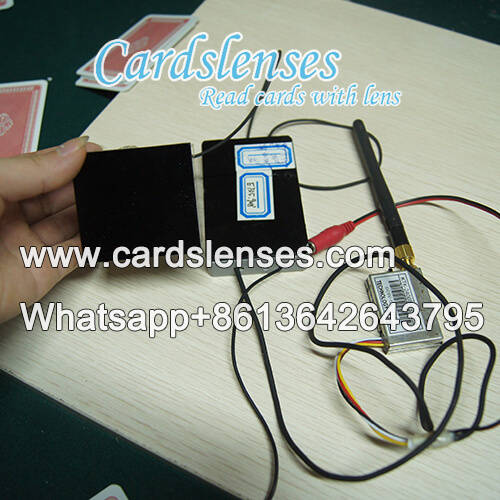 Although invisible ink marked cards are very easy and convenient to use, just wearing the invisible ink contact lenses or sunglasses, you can see through each marking cards, but if others players also have the infrared night vision glasses, what are you going to do? This one to one playing cards camera for far IR marked cards can help you avoiding this kind of problem. Because marked deck it use are undetected by the Infrared contact lenses.